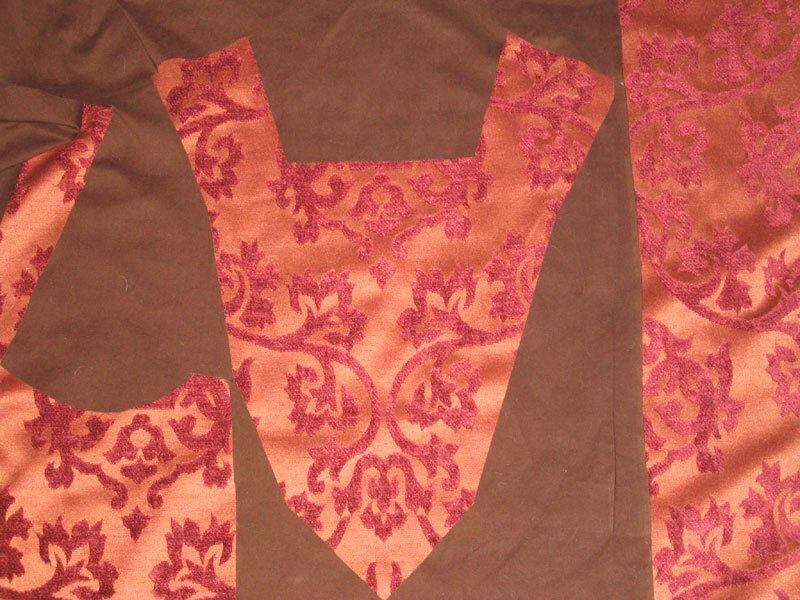 I am starting on my practice dress. 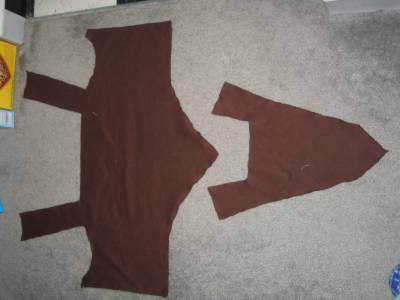 The plan is to have the pattern in good working order before I cut up my more expensive fabric. The practice dress will be an army green type color (the plain backside of a lightly patterned cotton/rayon? 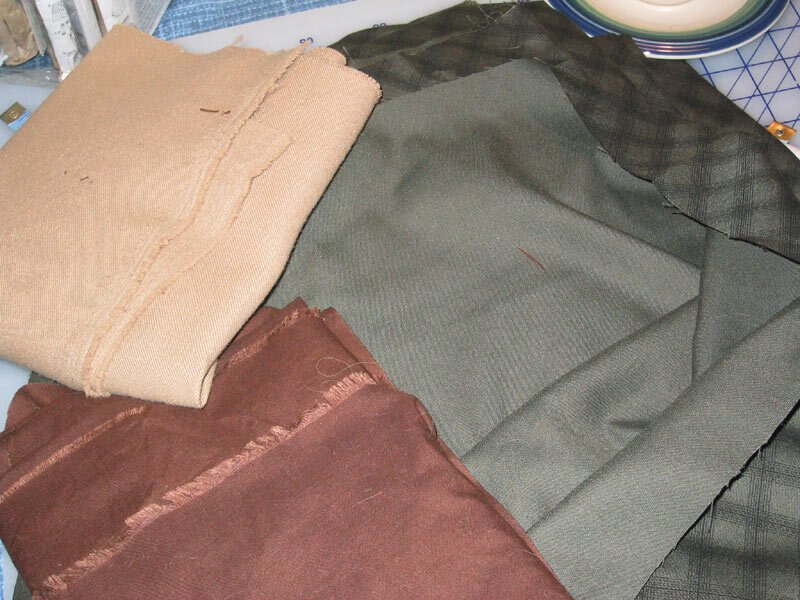 type fabric I have just sitting around). If I decide to keep it around to use on dress down renfest days, I will be trimming it with some brown scrap fabric I have (using this for the lining, too). Also, once I'm confident that my closed front pattern is in good working order, I may alter the green practice dress (no doubt at a later date) to be a front ladder lacing style, since I think that would be fun to have in my collection. 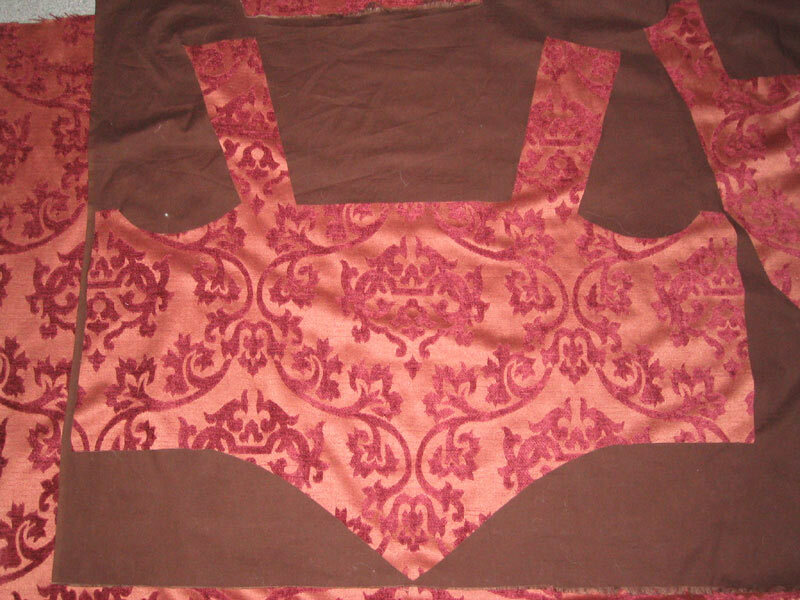 Then I realized that it has been since highschool (just about 9 years ago) since I have made any sort of bodice. And when I made that one I had a pattern with directions for dummies, and for all the directions I was too dumb for, my grandma helped. Thus I am not exactly sure how to proceed (how embarrassing). So, I started doing some dress diary research and heavy thinking (takes me a while). I think I am now getting an idea of how I'll actually work the sewing, since I wanna include some boning I will have a lining, then an interlayer, so the boning will go between lining and interlayer. Then I'll sew the actually dress outer fabric on top of all that hubbub. What I'm hoping is that you will not clearly see the boning through the outer layer. If I can, then I'll most likely have to add another layer. But I really would like to keep the layers to a minimum for hot days. Also, I was struck by an idea I saw on the Semptress's site. In her construction of a pair of bodies, she takes boning all the way up the straps and over the shoulder straight down the back. I realize this may be unorthodox for a dress bodice (rather than an underdress corset deal like she was making), but I really kinda think that doing this will minimize strap slippage. I've read a few dress diary's where strap slippage was an issue, especially since the Venetians were fond of wide-set straps, and I really do wanna presesrve this style but not have to worry about my dress falling off. ;-) I think a cheap poly boning, rigilene, or even zipties (which I am eager to try after seeing beth's corset) are all flexible enough to work for this and still provide a decent structure. I also think having straps with just a little struture will help push my...ahem...assets in, and minimize side-cleavage, which is not exactly the look i'm going for. Oooh, and brilliant Niter suggested quite a fun litle project to entertain me. After I cut out the bodice lining, she told me to take the negative and put it on my real fabric to get a sense of pattern placement. Of course, it took her a few moments to explain to retarded little me what the "negative pattern" meant--I was stupid and flustered last night. Regardless, it was a wonderous idea, and here is what I came up with-pardon the not exactly straight laying brown, but at least it gives an idea. Loving it. front-- i think this layout is perfect. back--still considering this layout, but I kinda like the way the pattern is here, i think i may move the two meeting lines on the design a bit further up the back, though. Tis true, I am exceeding endowed mentally. Anyways, I LOVE that back panel idea. I do love the negative pattern idea. I'll be using it once I cut out my lining. One comment on the possibility of your boning showing through (that sounds vaguely obscene, doesn't it...) Anyway, on my last dress I placed the boning in spots where I intended to put strips of trim. 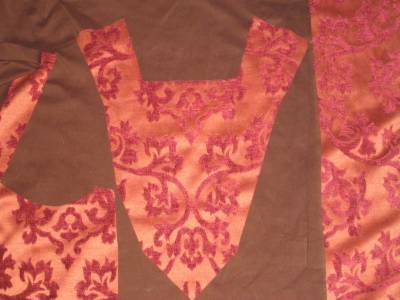 Probably that wouldn't work for your Venetian dress, but if you were thinking something like the Eleanora trim layout for your practice dress, it's something to consider. It worked like a charm.